A commercial fisherman who daydreams about prospecting for gold in the Last Frontier and cooking in the woods with his Dutch oven. 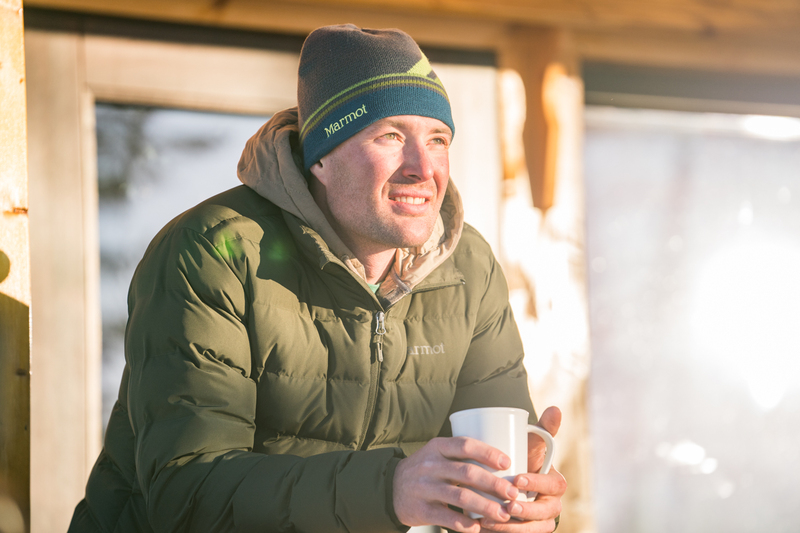 For episode 3 of “Long Underwear”, Amie chats with Jackson, Wyoming local Forrest Jillson. Out of the gate, Forrest says the biggest highlight of his career thus far has been winning the Freeskiing World Tour and being only one spot away from making the Freeride World Tour. He explains that he shifted away from competitions once he was able to make some money and transition into other ski projects like filming and working with partners like Jackson Hole Mountain Resort. When Amie asks if he has any good memories involving Warren Miller and Forrest says it’s any young kid’s typical story where his mom would rent him stacks of VHS tapes when he was sick and he'd stay home watching Warren Miller films. From there, he was hooked. You can download this episode from iTunes, Google Play, and Spotify – or listen to it below! Once the no S-word rule is enforced, the two talk about what Forrest’s dream trip would be if it could not entail skiing. It’s about here that Forrest melts some hearts and tells Amie he’s always wanted to take his mom to travel in southeast Asian countries like Vietnam, Thailand, and Indonesia. From here, Amie has Forrest discuss his best quality, which he says is empathy. “Throughout my life, I’ve experienced quite few ups and downs and throughout all of it, empathy that I’ve received from other people has stuck with me.” He explains that though he may want to say no at first, he often finds himself on the roadside helping with car trouble and going out of his way to help pull people out of sticky situations and that it feels good to know he’s helped. After this, Forrest tells Amie about what his alternate life would look like prospecting for gold up in Alaska and then they go back and forth about Forrest’s dream date, and yes, it does involve cooking in the woods with a Dutch oven. Forrest goes on to tell Amie about the roller coaster of finding out his mom is cancer-free. And to wrap it up, he reflects on discovering the world of mountain biking and relays a quick story about perplexing some tourists chest-deep in a creek while on crutches. Keep up with Forrest here. Be sure to rate, review and subscribe on iTunes to help spread the word.